Hands-on training is the gold standard for automotive service professionals. It's a way to get involved with new vehicle systems in a learning environment! Access provides hands-on training in Hybrid, Electric, and Fuel Cell systems diagnostics and repair at different points during the year. Check out the available courses below for their content, locations, and dates. If you need to submit a purchase order for a training event you can do so here. 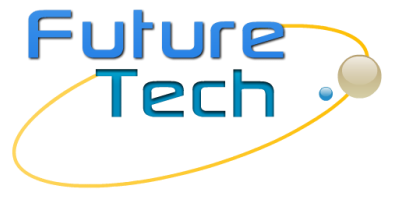 Contact FutureTech to inquire about payment plans. Our new training schedule will be posted by October 30, 2018. Check back or subscribe to receive updates! THANK YOU TO OUR PARTICIPANTS FOR ATTENDING THIS COURSE! We've completed this pilot course and have launched the Automotive Software and Electronics Boot Camps: Fundamentals, Intermediate, and Advanced. Hit the button to the left to learn more! The lecture and significant hands-on project content in this course using the popular Arduino MC will introduce participants with minimal or no experience in MC and electronics with knowledge and skills. Microcontroller based classroom simulators, demonstrators, and develop student projects in a fun environment. Simulator and demonstrator systems are significant investments for the modern automotive classroom and this course will teach participants how to inexpensively create their own simulator and demonstration systems. Information essential for individuals that want to architect vehicle “bugs” for courses focusing on diagnostics. Provide participants enough fundamental knowledge and skills that would permit them to develop microcontroller based applications and hardware interface tools for most automotive systems. Students will be responsible to bring their own laptop computer to the course (with at least one operating USB port) for the purposes of operating the MC and permit software applications to be installed for developing S/W code. The students may elect to bring their own oscilloscope, DVOM, and miscellaneous small hand tools to work with the electronic devices and circuits. This course is designed for individuals with minimal or no experience in S/W development or coding, and minimal to average experience with analog & digital electronics circuits and devices. THANK YOU TO OUR PARTICIPANTS FOR ATTENDING THIS COURSE! We hope you enjoyed the content provided by the instructor Yves Racette. If you are interested in attending this course, or want to host this course in the future, please use the botton to the left to contact us. This course provides product-specific systems overviews, diagnostic techniques, and repairs. Vehicles featured in this course include the Nissan Leaf EV, and Kia Soul EV. Emphasis is placed on the Control Area Network (CAN) of these vehicles. The Nissan leaf was introduced in 2011 and is one of the most popular electric car for the masses. This section will cover an overview of the vehicle followed by more specific details on the components and how they operate. Technicians will know the Nissan Leaf Safety intervention, high voltage system operation and its controls. An overview of the 2013 to 2017 changes are covered. The Kia Soul Electric Vehicle is equipped with several new technologies that require new diagnostic processes. This section will introduce and familiarize technicians on Kia’s new electric vehicle, including vehicle knowledge, operation, safety, vehicle systems, components and high voltage systems. The Model S is designed from the ground up to be the safest, most exhilarating sedan on the road. With unparalleled performance delivered through Tesla's unique all-electric powertrain,this section will introduce and familiarize technicians to the Tesla Model S components, high voltage battery information and details, high voltage awareness, motor and drivetrain design and details. Access carries a large portfolio of training courses that range from 1/2-day to 5-day events. If you wish to host a single- or multi-course training event, or have a group of 8 people or more that want to hold a private training event, please contact us.